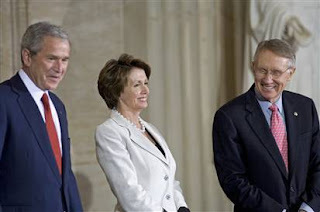 According to Eric Lichtblau, James Risen and Mark Mazzetti of the New York Times, Congress passed a law allowing virtually unlimited surveillance with virtually no oversight, because senior intelligence officials told them that complying with a secret court ruling had cut our intelligence gathering capability by three-quarters, and that complying with the law was so burdensome an "intelligence gap" had developed, in which our protectors were prevented from eavesdropping on known al Q'aeda operatives who were planning attacks on Americans! Seriously! The "intelligence gap" sounds suspiciously similar to the bogus "missile gap", a concerted lie about alleged Soviet nuclear superiority by which our rapid military buildup during the early Cold War was supposedly justified. Ironically, in 1960, Senator John F. Kennnedy won the presidency over Vice President Richard M. Nixon, partially on the strength of claims that Nixon and Eisenhower had been "soft on communism" because of the "missile gap". The Pentagon had been claiming our hundreds of missiles were not enough, and this lie was turned against Nixon and may have cost him the White House... after which Kennedy was finally briefed on the reality of the situation -- the Soviets had only four missiles! JFK was none too pleased and some believe this set him on the course to an early assassination -- from square one of his presidency. But I digress, or do I? It seems to me the history is relevant if only because of the similarity in terminology. The Missile Gap was bogus: beware the Intelligence Gap! But even so, under the previous configuration, the FISA court was a virtual rubber stamp, hardly ever turning down a request for a warrant, which could be had within a few days after the surveillance began. So there was never any need to wait for a warrant, which they knew they could get later anyway. How burdensome was that? Then a secret court ruling says three quarters of what the administration is doing is illegal, and that leads congress to do away with the basis for the ruling, rather than forcing a clearly power-hungry administration to abide by the law for a change, and all this because the administration keeps saying "we need to do this to make America safe" -- and remind me once again who was in power when we were so brutally attacked? Anyway, while they were closing the "loophole" that led to the "intelligence gap", congress managed to wipe out all meaningful oversight over surveillance on "anyone reasonably believed to be outside the country". And this happens because they can't agree on a more limited version of the law as proposed by the administration. And all because it's recess time. I kid you not! WASHINGTON, Aug. 10 — At a closed-door briefing in mid-July, senior intelligence officials startled lawmakers with some troubling news. American eavesdroppers were collecting just 25 percent of the foreign-based communications they had been receiving a few months earlier. Congress needed to act quickly, intelligence officials said, to repair a dangerous situation. Some lawmakers were alarmed. Others, jaded by past intelligence warnings, were skeptical. The report helped set off a furious legislative rush last week that, improbably, broadened the administration’s authority to wiretap terrorism suspects without court oversight. This story is one in which our director of national intelligence is spinning, the white house is spinning, the republicans in congress are spinning, the democrats in congress are spinning, and the reporters are just laying out all the spinning points and trying to connect them with a narrative that doesn't really make any sense. Nor could it, unless they were willing to say "we think so and so is spinning". Which they are not, for this is the NYT after all, our liberal media at work again. Find a quote in the article where the person speaking is telling the truth. 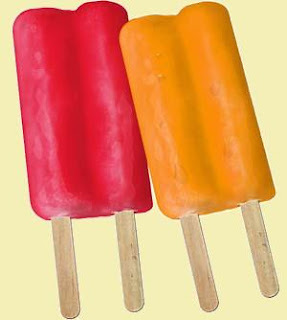 Winners, if any, receive their choice of popsicle. This is not entirely academic; it's a lot more practical than that. Because once lies get published in the New York Times, they get poured back into the national swill as if they were facts. Damned liberal media again! If you can't get it through the NYT you can read it at my other other blog.